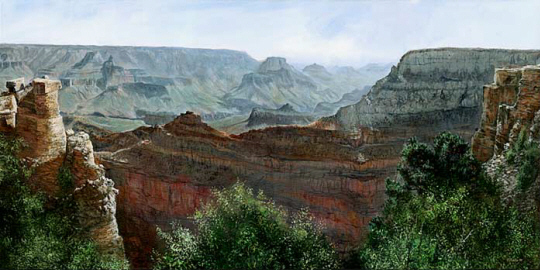 "Grand Canyon " is offered as a giclee on unstretched canvas. Image size: 36"w X 18"h in an edition of 100, signed and numbered . Custom canvas sizes, stretching and framing available! Please contact us for more information .